There’s a lot going on in the summer: festivals, fairs, concerts, and more. But here’s the thing: you don’t have to do any of that. In fact, you can run as far from the crowds if you want and spend your summer in seclusion out on the beach or high up in the mountains. And if you prepare your summer retreat properly, you’ll never want to come back – and you’ll never have to, at least until your vacation days are all used up. Here’s your guide to the perfect summer retreat. Summer retreats are supposed to be outfitted with all manner of vehicles – just so you can drive them off and then right back again. You’re already at your summer destination, so out here your vehicles are all about recreation, not escape. That means four-wheelers, jet-skis, and boats, to name a few. These things aren’t cheap, so consider looking for a place where you can buy used boats and other vehicles. You’ll have to shop carefully when you buy used, but if you know your stuff, you should be able to walk away with a reliable vehicle for a lot less than you’d pay for a new one. Vehicles made for recreation – including boats, RVs, and others – tend to depreciate a lot when you drive them off the lot, so buying used can make a long of sense. Jetting around on the water is a thrill, but summer shouldn’t be all thrills – you have to make sure that you build in the time for relaxation, too. That’s why a perfect summer retreat should have easy access to some more laid-back summer activities. What type of activities? You know them: we’re talking about fishing, hiking, and other slow-moving outdoor sports. Take a lazy day at your retreat and spend it leafing through magazines and surfing websites about your location – you’ll likely find that there are tons of resources for people who want to explore the area. Keep a journal of your favorites so that you can re-visit them – over the years, you may find that a favorite fishing spot or an easy hike becomes as dear to you as your summer retreat itself. Of course, the whole point of having a summer retreat is to spend time there. The lakes, mountains, beaches, and other attractions are all well and good, but what about your retreat itself? Let’s start indoors, where you’ll have to spend at least some of your time every summer – after all, it gets dark at night and some days it will rain. So what will you do then? Indoor games can be as fun as a day on the beach. A nice pool table is always a great addition to a summer home. Board games are always great, too – consider investing in a sturdy game board (like a wooden chess or checkers board) that can be passed down in the same way that you summer home may someday be. The outside of your summer retreat is just important as the inside. 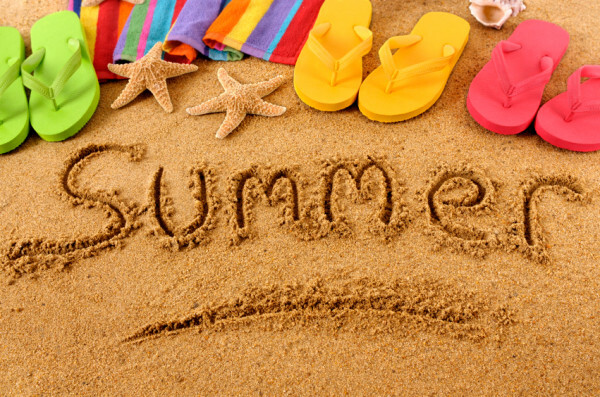 In fact, it may be more important – it’s summer, after all! For a perfect outdoor space, a grill is a necessity. Some chairs and loungers are a no-brainer – look at Adirondack chairs, rocking chairs, porch swings, hammocks, and other options (where your summer house is located should have an influence on the type of outdoor furniture you choose). If you have kids (or grandkids), consider a sturdy and safe treehouse. A trampoline for kids (or for adults) is a great idea, too, as is a swing set or a sandbox. If you’re far from natural water – or just want a little privacy – a pool could be the perfect addition to your summer home, too!